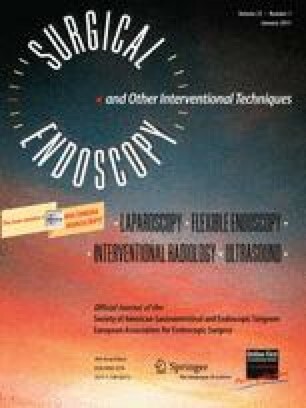 Natural orifice transluminal endoscopic surgery (NOTES) may represent the next frontier for therapeutic minimally invasive surgery; however, its feasibility is currently limited by the lack of suitable instruments. Identifying the forces required to manipulate tissue during NOTES is a necessary first step in the development of better instrumentation. Sensorized instruments were used to measure the forces acting at the tip of the instruments during transgastric and transperineal NOTES procedures performed in two female pigs. The maximum and average forces when handling tissue were determined and compared. The results show that, for the transgastric approach, the average forces required are significantly less than in the transperineal approach (43% less), and that the maximum forces required are almost 8 and 16 N in the transgastric and transperineal approaches, respectively. The forces were higher than 5 N in 1.6% of the measurements in the transgastric approach and 2.9% in the transperineal approach. This study presents an experimental measurement of tissue manipulation forces in a NOTES procedure. This information may be valuable for research groups interested in developing NOTES instruments and devices. It is recommended that NOTES instruments be designed to easily handle forces as high as 16 N.
The authors would like to acknowledge Jerry Dafoe from the Boundary Layer Wind Tunnel Laboratory at UWO for his technical support with strain gage attachment; Quanser Inc. for providing the gage amplifiers and the interface to the computer through their Q8 boards; Harman Bassan for developing the data acquisition software; Aleksandar Mihaylov, Ranjani Sabarinathan, Carolina Subirós, and Abelardo Escoto for their assistance preparing the instruments and processing the data: and all of the staff at CSTAR for their continued technical assistance. This research was supported by the Natural Sciences and Engineering Research Council (NSERC) of Canada under grants 1345-07 (R.V. Patel), 312383-2005 (M.D. Naish); and by infrastructure grants from the Canada Foundation for Innovation awarded to the London Health Sciences Centre (Canadian Surgical Technologies & Advanced Robotics) and to The University of Western Ontario (R.V. Patel). The two-channel gastroscope and supporting equipment were provided by Olympus Canada, Inc. Authors A.L. Trejos, S. Jayaraman, R.V. Patel, M.D. Naish, and C.M. Schlachta have no conflicts of interest or financial ties to disclose.